Through my recovery work, I’m learning to take better care of myself. I’m making wiser choices, living better, and embracing my life. Firm boundaries, healthy perspectives, daily gratitude are just a few of the tools that help me live well. In this way I’m trying to be a good example to those who come after me. 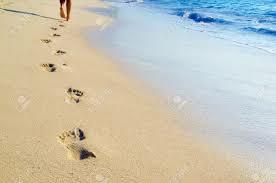 We all leave footprints somewhere. We have stories to tell. We all leave a legacy. Thank you. We often forget how much we influence those who come after us. Good reading and good perspective ! I think we often get bogged down in our own pain, our own points of view on any number of matters, our own, our own, our own…See where this is going? EGO. Yup. The thing that makes us all too human, that gets in our way in relationships, and in my recovery program separates us from God: Easing God Out. But even without the God factor, our egos can get us into so much trouble! So the ability to step back, lay our own stuff aside and consider another perspective is important. And on the subject of leaving a legacy, I have to claim responsibility for what I do in my life. If I have people who come after me, they will be paying attention. I’m more motivated than ever to try to live well and make a positive difference for them. Ego supplies us with all the troubles we need…and then some! That’s for sure! But it’s what makes us human and keeps us striving to be better, I think. Ego supplies us with all the disasters we need…and then some!